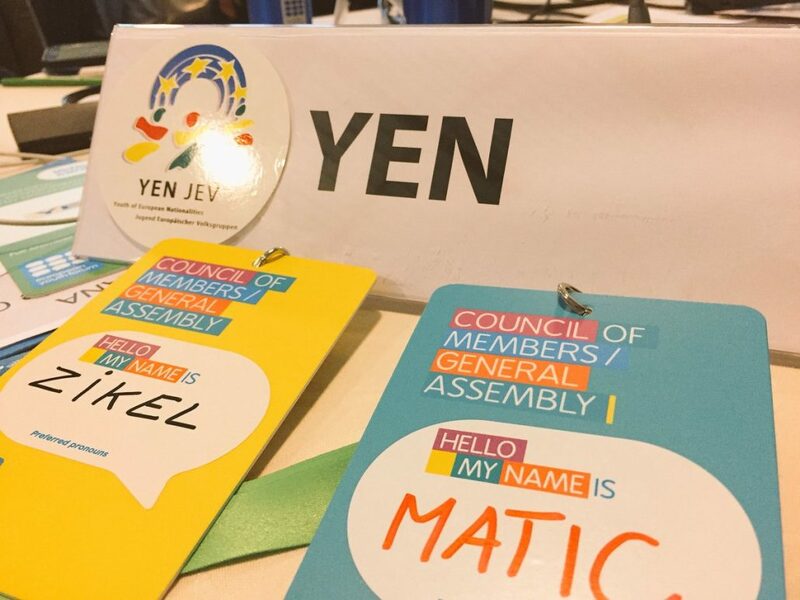 The Council of Members (CoMem) of the European Youth Forum (YFJ) took place from 23.-25.11.2017 in Cascais, Portugal and brought together more than 150 delegates representing youth organizations from across Europe to discuss key topics, participate in debates and hear important updates on the work and progress of the European Youth Forum. On behalf of YEN participated Zikel Anxhara (Vice President for External Relations) and Matic Germovšek (Member of the CoE Advisory Council on Youth). On the first day a ceremony was organized for the Announcement of the European Youth Capital 2020. Amiens in France was awarded with the title. 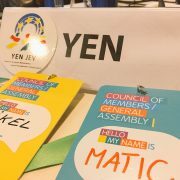 The Youth Forum’s members adopted our YEN “Resolution on key issues concerning European youth, especially marginalized youth” that you can find here, a Motion in support of the Minority SafePack initiative that you can find here and a “Policy Paper on the Erasmus+ successor program” that you can find here. We also discussed with the participants the Minority Safepack initiative on our Made in MOs side event.